The U.S. Consumer Product Safety Commission and Samsung are urging owners of the Galaxy Note 7 smartphones to stop using the devices while they work to formalize how a recall will work. The warning comes a week after Samsung (SSNLF) announced a voluntary recall of 2.5 million phones worldwide because of a battery problem believed to affect 0.1% of all devices. Some customers reported that their Note 7s caught fire. A government recall would outlaw the selling of the phone. In its statement, the agency asked owners of the Note 7 "to power them down and stop charging or using the device" in the meantime. Details on an official recall will come "as soon as possible," the agency said. Tim Baxter, president of Samsung Electronics America, said the company is collaborating with CPSC and its carrier partners to ensure all Note 7 users are alerted. Related: Can FAA's warning to Samsung Galaxy Note 7 users really be enforced? Samsung, based in South Korea, has been offering U.S. customers a different phone, the Galaxy S7 or Galaxy S7 Edge, and a $25 gift card or bill credit. Following the U.S. announcement, Samsung on Saturday advised Note 7 owners in South Korea to stop using the devices. It urged them to visit their nearest Samsung service center where they will receive a different phone. It wasn't immediately clear whether the advice is being extended to the other eight countries where Samsung is recalling the Note 7. 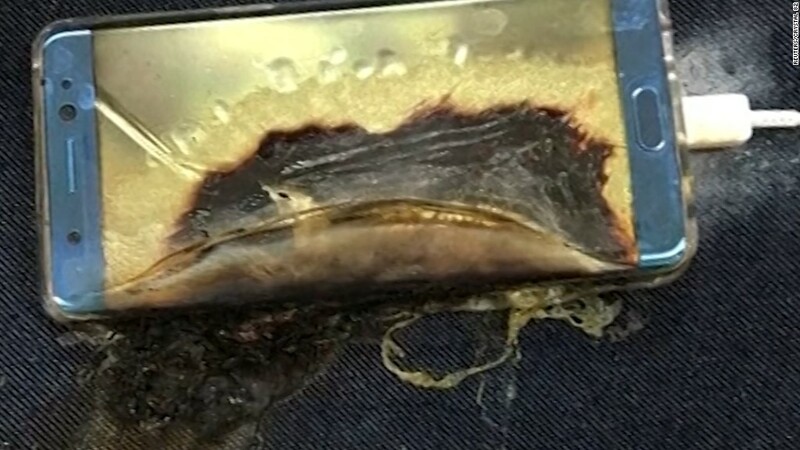 The Federal Aviation Administration on Thursday warned airline passengers to not use or charge their Note 7s on board an aircraft and not to stow the phones in checked baggage. -- K.J. Kwon and Jethro Mullen contributed to this report.